In this 45 minute workshop agents will receive a fast paced, quality, information rich on-site workshop. We will share 10+ actual innovative ideas, never seen, of current top agents working in real estate today that you can implement immediately to dramatically increase your income. GUARANTEED! You’ll go away with a system to create a consistent and predictable flow of business. Rick Kurtz credits include promoting and managing self-improvement gurus such as Brian Tracy and Zig Ziglar. 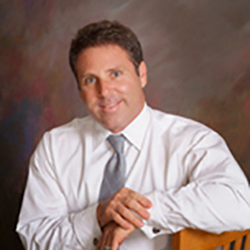 Rick Kurtz serves as the founder and CEO of Resource Dynamics, a California-based real estate consulting company. In operation since 1986, Resource Dynamics has grown into a successful provider of real estate training. In 1999, Rick Kurtz company became a publicly traded entity on the American Stock Exchange.According to a report released by the California Association of Realtors (CAR), the state’s housing market should continue to see an increase in sales and home prices in 2014. Presented in October 2013, CAR’s report forecasts that California’s housing market will see an improvement that corresponds to the projected growth of the America’s gross domestic product. In 2011, the real estate analytical firm Local Market Monitor suggested that, by 2014, California’s real estate market should show stronger stability. The Federal Housing Finance Agency also stated in 2011 that certain urban markets began to recover in San Francisco, San Diego, and Los Angeles. With an increase in the number of jobs, a decrease in California’s unemployment rate, and lower interest rates, the housing market may experience steady growth. Additionally, the number of underwater homes should decrease while home prices are increasing, bolstering California’s real estate market further. Our Executive conference is a two day comprehensive, live training program. RD Training Systems’ success is built around the quality, expertise and passion of its team members, led by renowned speaker Rick Kurtz . RD Training Systems offers you the vision, motivation and tools to take your real estate business to the ultimate level. Rick Kurtz currently serves as a consultant to many of the largest real estate corporations, organizations, and affiliates in North America, assisting them in the development and strategy of their marketing plan. This letter is written with the most Sincere Thank You to Mr. Richard J. Kurtz for inspiring my agents to higher production. On November 7, 2016 he presented an overview of the RD Training Systems to several of my agents. I must say I was very surprised at what Rick Kurtz had to offer agents both New and experienced.New agents can start producing immediately with all the different marketing materials already in place with his program. Experienced agents would benefit as well by simply using the proven systems and tools. I have been in Real Estate for 29 years and have attended many Training conferences with several National Trainers. The RD Training Systems is one I wish was in place when I first started. The materials and tools are all scripted and done professionally. I recommend the system to both New and Seasoned agents. You can’t miss. The Systems is all set up for you and ready to use. All you have to do is follow the directions and build your business. So, pick up your production today and attend one of the Conferences offered and create the Real Estate Business of Your Dream!! !